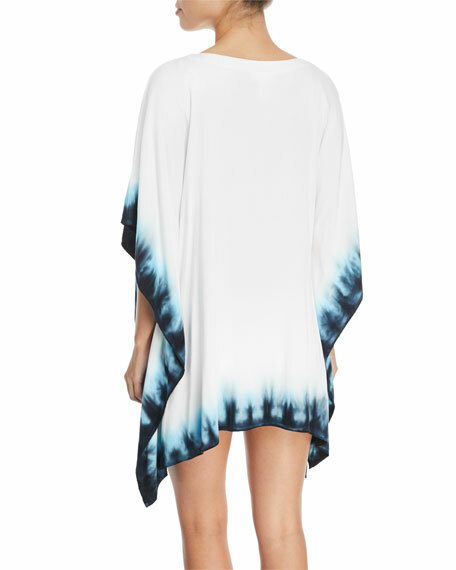 La Blanca "St. Tropez" coverup tunic with tie-dye print. Round neckline; lace-up front with tassel ties. For in-store inquiries, use sku #2506525.